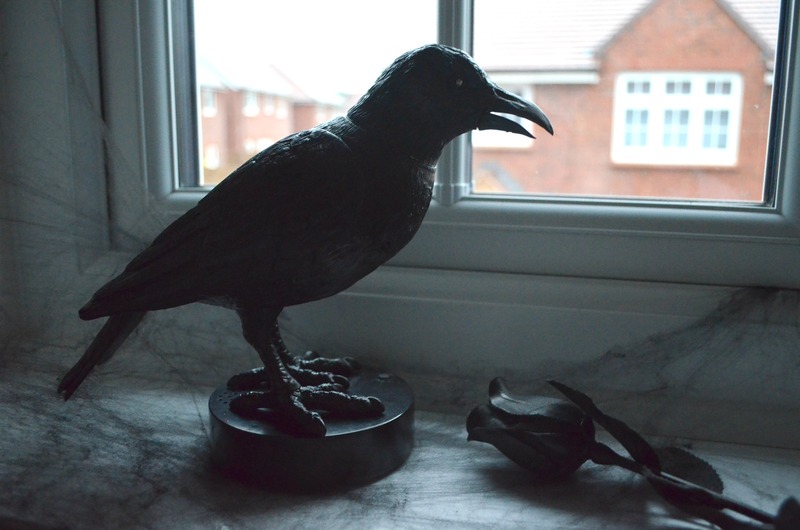 Halloween is almost here and if you’re looking for a unique and cheap way to decorate your home this Halloween, I have just the thing! 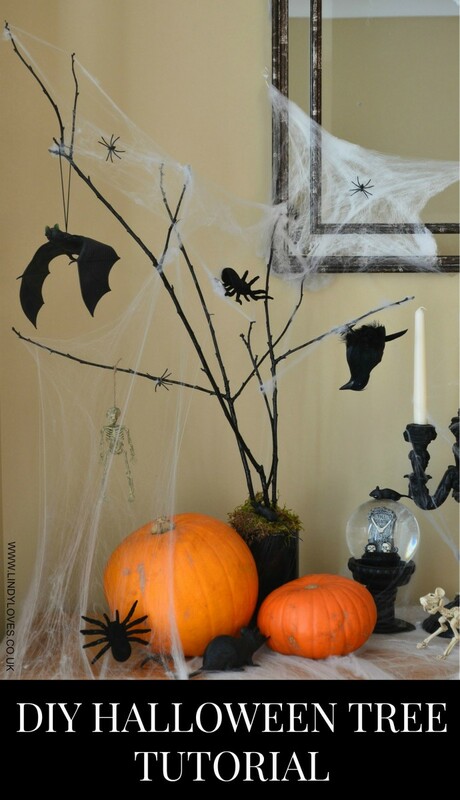 This spooky DIY Halloween tree is easy to make and looks fantastic. 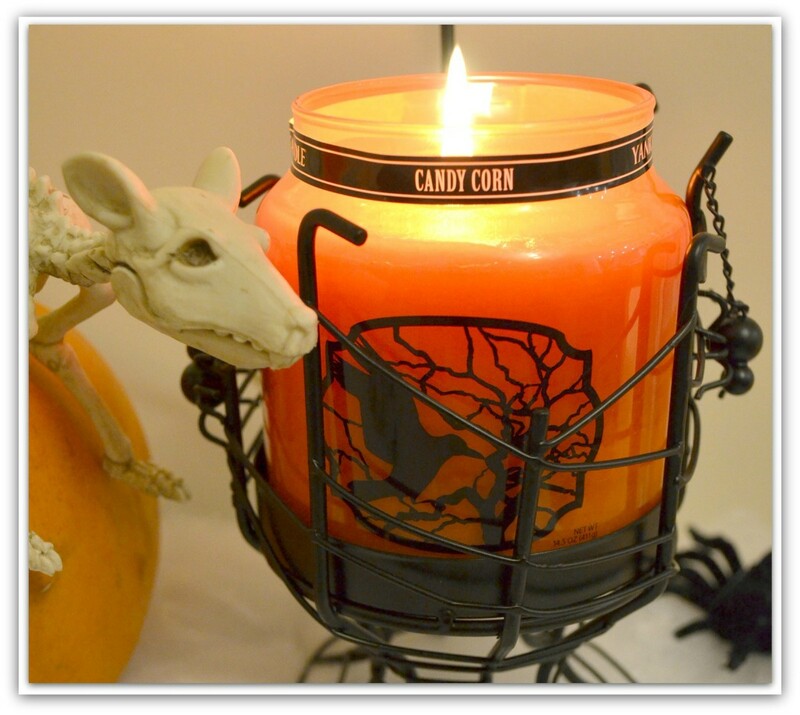 It’s a fun, easy and cheap project so grab the items need, get the kids involved and create the perfect Halloween centerpiece. 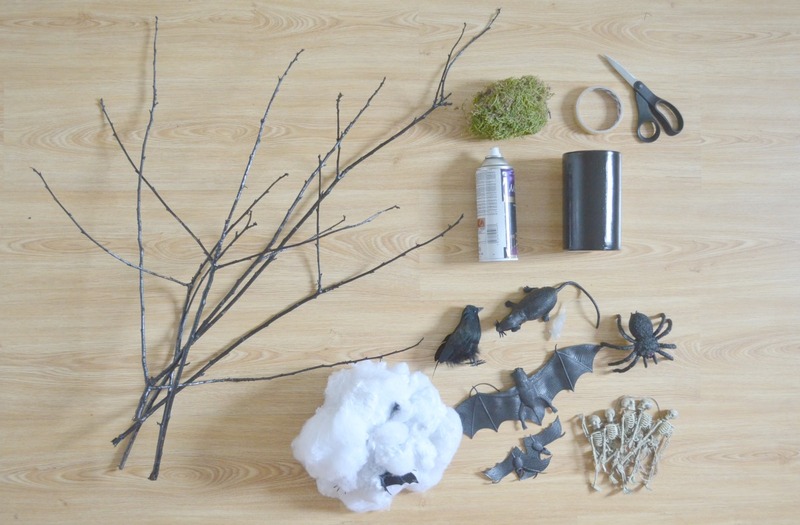 I have provided step by step instructions on how to make your own Spooky Halloween Tree below. 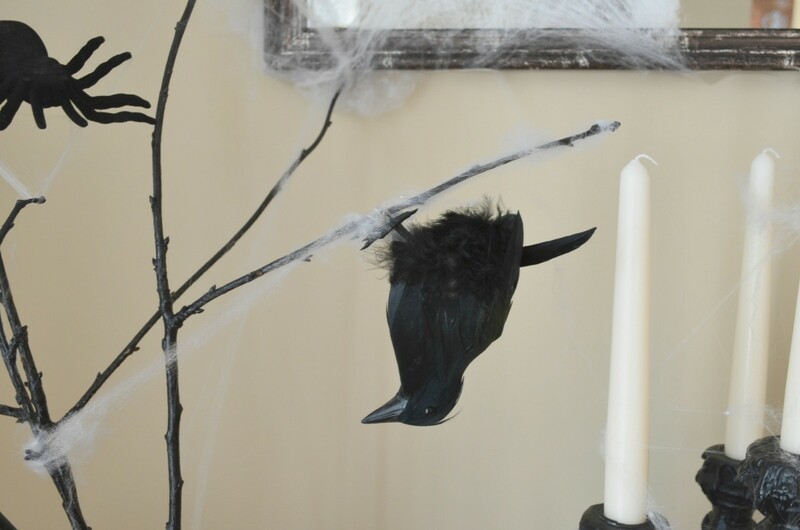 The first step to creating your own spooky tree is to find a branch or several twigs which you can use. 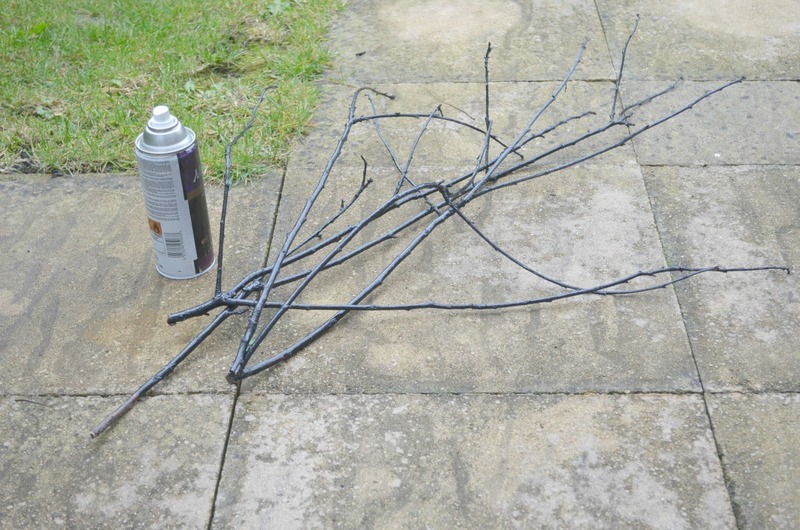 Once you have found the perfect looking tree spray paint them black for a creepy effect. This is optional, you might choose to leave them looking natural in which case skip this step and jump to step 2. Position the branches in your vase until they are how you want them to look. If you use a large vase you might need to secure the branches so they don’t move. You can do this using dry foam and pushing the bottom of the branches into the dry foam. 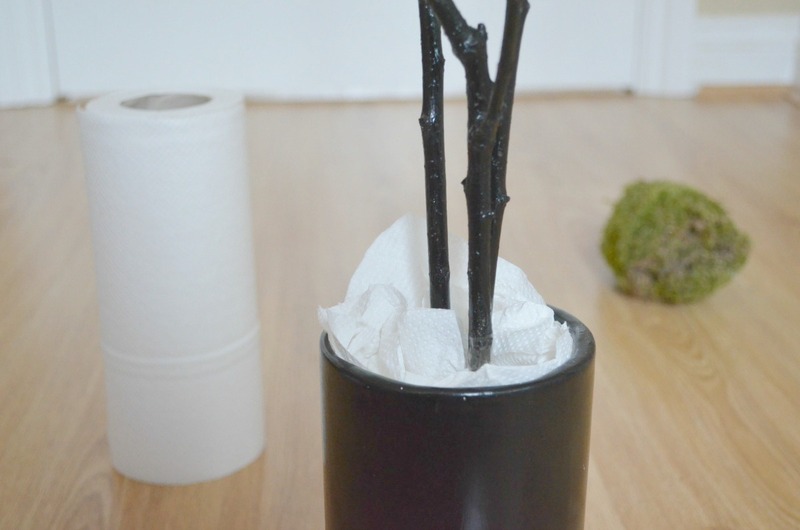 Alternatively, you can fill the vase with stones or as I did use scrunched up tissue paper to keep the branches steady. To stop the branches moving out of place I used sellotape and wrapped it around the branches to keep them together which worked perfectly. I would recommend placing a couple of heavy stones in the bottom of the vase so the tree doesn’t tip over when hanging items from it. Add preserved moss to the top of the vase so it looks like the tree is growing out of the vase. The moss gives an authentic, spooky feel to the whole look. 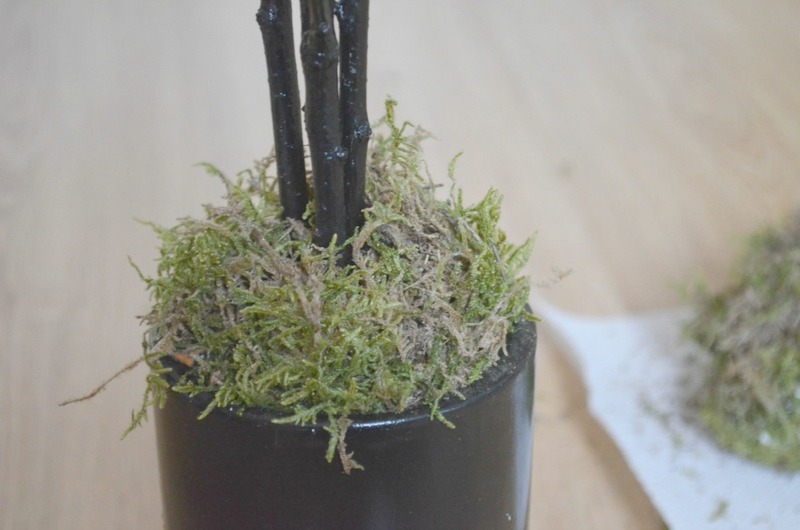 If you don’t have any preserved moss you could use shredded tissue to decorate the top. I found preserved moss in Hobbycraft for just £1.49 a bag and one bag was more than I needed to decorate the vase. Decorate the tree. This is the best part. 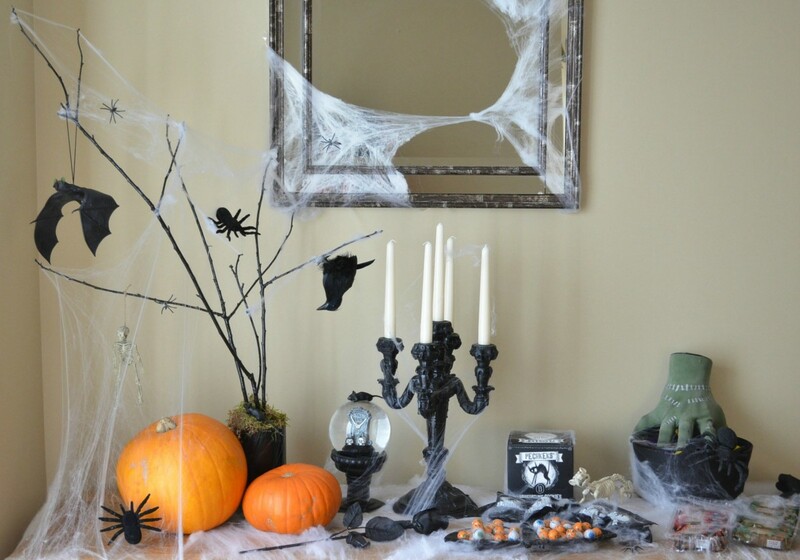 Using a selection of spooky Halloween items, think skeletons, crows, spiders, bats and cobwebs, decorate the tree until it looks sufficiently spooky! You could also add a little of the left-over moss to the tree. Place the tree in an area where it can be admired by everyone. It will prove to be a great talking point and is a real attention grabber! The perfect party centerpiece. 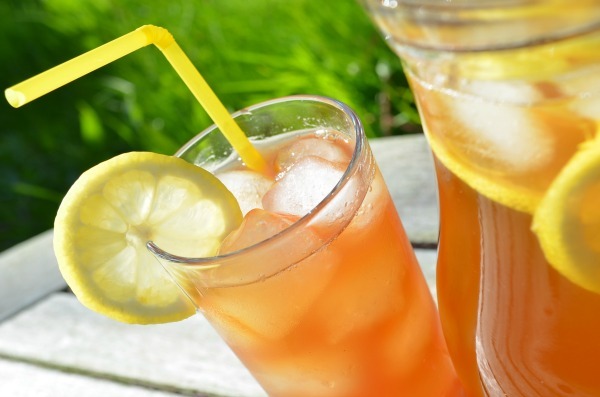 It’s also a great way to re-use discarded tree branches.